UW CSE announced today the creation of the Guestrin Endowed Professorship in Artificial Intelligence and Machine Learning to support efforts to recruit and retain outstanding faculty in these leading-edge areas of the field. The $1 million endowment, which is named after CSE professor and machine learning expert Carlos Guestrin, was made possible by Apple’s acquisition of CSE spin-out Turi last year. 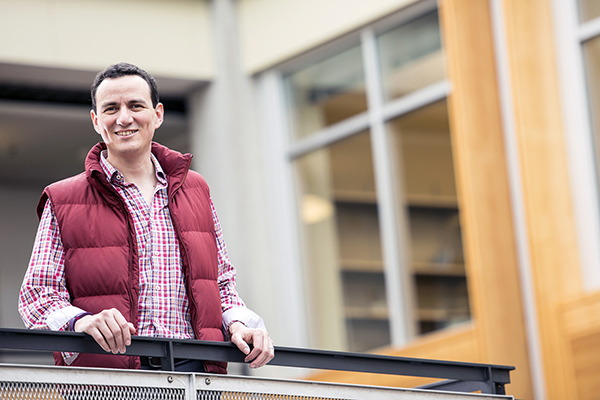 Guestrin has been a member of the UW CSE since 2012, when he was named the Amazon Professor of Machine Learning. He later founded Turi to commercialize large-scale machine learning tools he developed as part of his open-source research project, GraphLab. When Apple acquired Turi in 2016, it appointed Guestrin as its new director of machine learning. In this role, he will help the Cupertino, California-based company to establish a new hub for its artificial intelligence and machine learning research in Seattle and strengthen its ties with UW. Read the UW News release here, and coverage by Geekwire, The Seattle Times, CNBC, and The Verge. Also be sure to check out today’s GeekWire exclusive on Apple’s plans to expand its operations in Seattle. This is terrific news for UW CSE, and terrific news for our region!